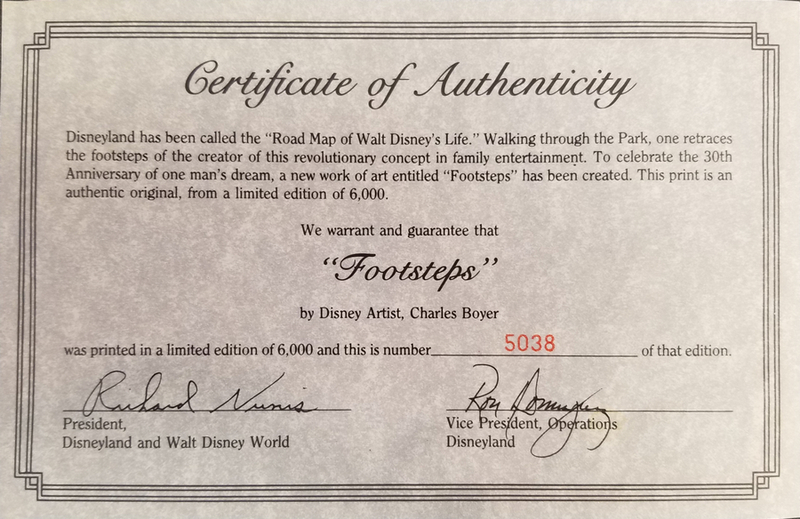 This is a limited edition lithographic print entitled "Footsteps" by Charles Boyer. 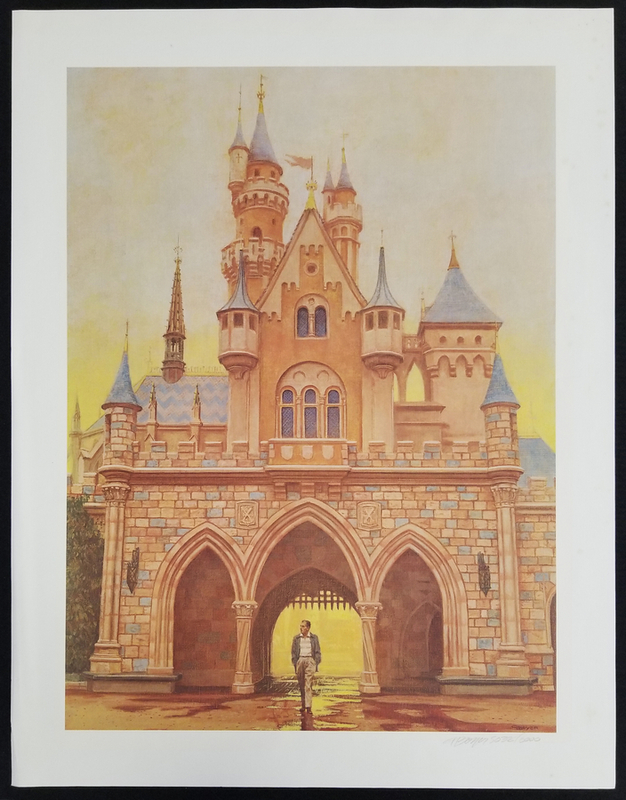 This print was produced in 1985 as a 30 year celebration poster for cast members only, with only 6000 prints created for the edition. 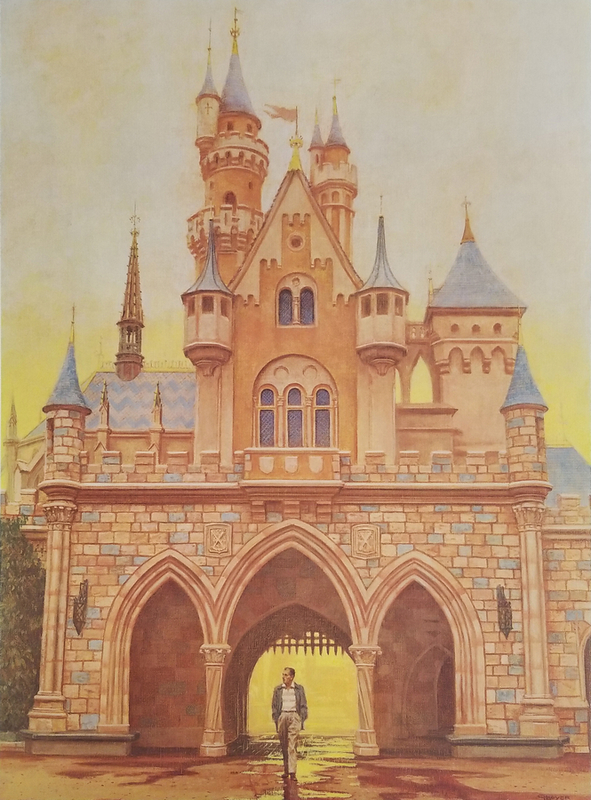 The print features Walt Disney walking in front of Sleeping Beauty Castle and measures 27.5" × 21.5" overall with the image area measuring 23.5" x 17.5". 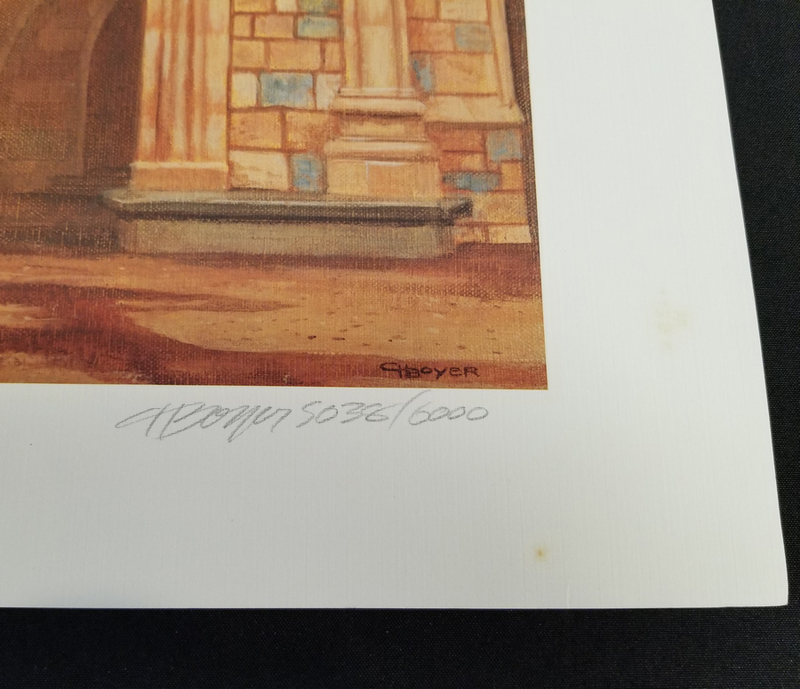 The print is hand-signed by Charles Boyer in the lower right corner and hand-numbered 5032/6000. 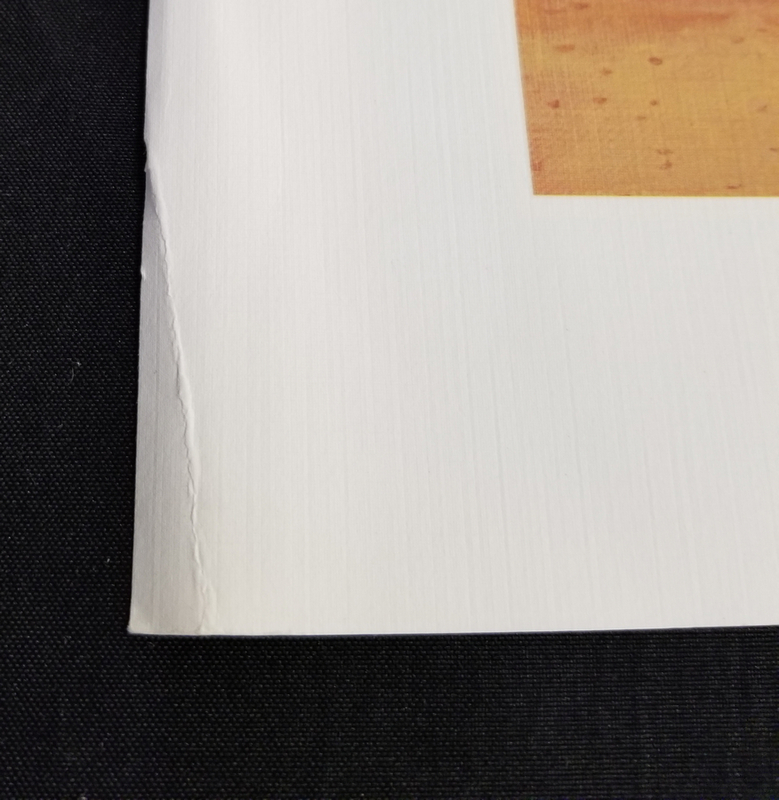 The print includes the original COA and is in good condition with some staining spots along left and top edges and a crease in lower left corner.